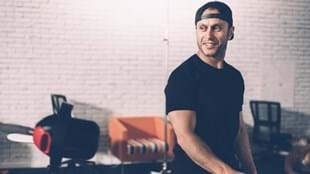 From humble beginnings, Glen Ostergaard rose to become Program Director of the biggest group fitness class in the world. We caught up with him to discuss resilience, role models, and advice about Instructor progression. SARAH SHORTT: Let’s start by talking about resilience. You were told at the start of your group fitness career that you were never going to make it. How did you overcome that setback? GLEN OSTERGAARD: I’ve always been a pretty determined type of person. Every time I have a setback I use it as fuel. If someone tells me I can’t do something it’s like, well, I’m gonna show you I can. It’s been that way all my life, I’ve always had to struggle and work hard to do the things that I wanted to do. I’d been set up to succeed in group fitness, I’d done my Initial Training with one of the top Instructors at the club and shown potential, so he’d been like, “Yeah bro, you’re gonna be really good and have your name up on the timetable”. Then I had to audition for the Group Fitness Manager and she said that I wasn’t good enough. And I probably wasn’t, you know what I mean? So I was a bit disappointed about that, but I used it as motivation. Obsessive is probably the word to describe how I felt – I got it in my head: I’m gonna do this and there’s nothing that’s gonna stop me from becoming a top Instructor. So basically I just pushed myself to the point where I just believed it was going to happen. And I think that’s like anything in life you know… if you truly believe that you can become something, and you work towards it, there’s nothing that can stop you. I still work like that today. I won’t stop until I achieve whatever it is that I’ve set my mind on. So how did you progress in group fitness? I walked into the Group Fitness Manager’s office and I said to her, “Look, I want you to give me a BODYATTACK™ class cause I’m going to be better than Scott and Dean” – they were the two top Instructors in Christchurch at the time – and I said, “I’m going to be better than those two”. So two weeks later we had a workshop, and the Group Fitness Manager gets up and she’s like, “We’ve got all these great Instructors coming through, we’ve got Glen coming through and he walked into my office the other day and he said that he’s going to be better than…” these two Instructors who were sitting in the room. So I was like, okay, I’m on the spot, and those other guys would have thought, oh yeah what an idiot. But I became better than they were because I just put my mind to it. Then I did the same thing when I came to Auckland, I went to see the Group Fitness Manager and I got the timetable out and I said – this is how arrogant I was back then – I’m going to have this class, this class, and that class. She looked at me and she didn’t say much. Years later she told me I was arrogant, but it wasn’t arrogance, it was more like I’d set my mind on it. I’d uprooted myself from Christchurch to come to Auckland to do this thing, and then to get the job that I’ve got now, and it was gonna happen no matter what, you know, because I already had it in my mind that it was gonna happen. And that’s how I work. So I got those classes and I got more. That sounds arrogant, but it’s not – it’s a certainty about what I want to achieve. 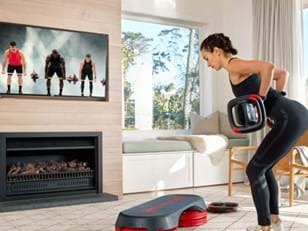 You create three new releases every three months (BODYPUMP™, LES MILLS SPRINT™ and RPM™). How do you continue to keep creating new choreography? The challenge is to reproduce releases every time that are of equal quality to the last round and maintain the consistency of great music, great moves, good feels and a great workout. I’m quite selfish with the way I work. I can’t be creative in an environment where there’s too many people around. I need that space to be able to create a release where I say, I’m proud of that, I’ll put my name on the bottom of that one. And if I know that Jackie and Phillip and Diana are happy with the release then I know that I’m doing my job right. Sometimes Instructors might not like the release straight away. Sometimes there’s a delay – you might get a release and think, that’s a bit naff, I don’t really like that. But after a bit you’ll understand why I’ve chosen this piece of music or why we’ve done the moves that way – you’ve got to give yourself the time to absorb the release. How important do you think it is for Instructors to have a role model? Everyone needs a role model, especially at the beginning. I wanted to be like Mike [McSweeney, previous Program Director for BODYPUMP]. He was an awesome athlete, taught his programs how they should be taught, he didn’t take any attitude from anyone, no fluff, he just delivered the product and he created an energy in his classes. He was one of those iconic athletic Instructors that people aspired to be like. You need someone like that at the beginning until you find yourself as an Instructor. 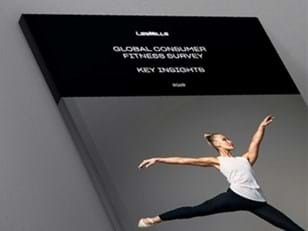 You’re very well recognised in the Les Mills world. How do you navigate the line between the personal and the professional? I’m a pretty private person, I value my privacy and I’m naturally introverted. In fact, if you look at our group – the Program Directors – there’s the odd one that’s quite out there, but most of us are quite introverted. We live in a society where we idolize the extroverted personalities, we always look to the extroverts on TV, sports stars, but usually the most creative people are the ones that are introverted. Sometimes the most powerful people in the room are the ones who are not saying anything. I need that space – all introverts do – to have that time to be able to think and be quiet and away from other people, to create the program. If I need to, I can be sociable and be out in the public eye and that’s OK, but I value that time by myself because that’s where I can be creative. So, being naturally introverted, how do you bring out your personality on stage? We all naturally have a strength – motivator, connector, or educator. My strength is motivation. It’s about dialling up the one that you’re most comfortable with so you’re not being false. I’m a great motivator. I’m not the best connector, never have been, never will be. I’m an okay educator, I can do it if I put my mind to it… but I naturally go to the motivation. So I dial that up and that just lifts everything else – the connection and the education. That’s how I do it. What has been the most empowering experience of your life? Having children. Having children is hard. Things change when you have kids, time becomes precious and days become long, but you get so much joy and love and unconditional love from having kids. This morning I was a bit sad about something and all the kids were giving me hugs and cuddles and stuff and that makes up for everything that could go wrong. It’s hard work and it’s challenging and you don’t get as much sleep as you would like, and you don’t get as much time to yourself as you normally would, but there’s no way that I would ever change that fact, because that’s what life is about. To me that’s empowering – having that unconditional love that having children and having a wife gives you, is greater than anything. I think it’s the most important thing in life. Do you have a top tip for Instructors? I’m no different to any other Instructor out there. I had to work hard to get anything that I wanted to achieve. I wasn’t a natural athlete growing up. You know those people that are just naturally good at everything? I hate those people! (laughs) I wasn’t that type of person. Anyone can be a great Instructor – doesn’t matter how tall you are, how short you are, how thin you are, how big you are, what your ethnicity or religion is, what background you’ve come from… if you decide that you wanna be a great Instructor, be on filming Masterclass, do workshops, present Les Mills LIVE events, you’ve just got to set yourself the goal and write it down. There’s so much power in writing goals down. I write goals down every year. If you want to be a great Instructor, write down what you want to achieve… teach this class, attend workshops, do AIM, find someone who can mentor you. Keep chipping away at it, and over time if you’re persistent, you will achieve it. That’s my message to Instructors. Write it down! Resistance training is always the foundation of my schedule, then I add in some sort of cardio conditioning, skill work, and HIIT. Mondays, Wednesdays and Fridays I’ll do some form of resistance training in the mornings – 20-25 minutes which is mainly upper body work. On Tuesdays and Thursday I’ll do mainly resistance training again and this is all the big heavy stuff – squats and deadlifts and presses and cleans, then some HIIT training. I’ve recently started running, so I run three times a week as well – various lengths and intensities. I’ll always have a little skill piece at the end cause I’ve started playing football again. Outside of teaching I always need one other thing to strive for or challenge myself with. For quite a while it was competitive cycling. Then I did Crossfit for about six years – I was ranked 100th in the world for my age group. Now I’m playing football. So on a Saturday afternoon at 3pm I turn up with a whole bunch of old dudes – over 40s – and we yell and scream at each other and swear at the other guys and swear at the referee and kick the ball around for 90 minutes. The goal is to get back to being as good as I was then I was 17, but now I’m 48. That’s what keeps me afloat – having that one other thing to challenge me. With diet you’ve got to find a diet that you can stick to, and it’s a personal thing. What works for me is a high protein, high fat diet. I have followed the Poliquin diet for years, so breakfast is always some form of meat – steak, chops, fish, chicken, with a handful of nuts. I stagger my carbohydrate intake – I just have fats and protein in the morning, and as the day progresses I’ll introduce more carbs into my meals. I wake up between 5.30am and 6am and then I have my first meal at 7am – which will be a spoonful of peanut butter and a protein shake and a really strong coffee. I’ll then train from around 9am and then at 10am, post training, I’ll have another protein shake and some fruit like a banana, just as a recovery. Breakfast is a piece of steak or chops and some fat – avocado or nuts. That sustains me through to lunchtime and then around 12pm I’ll have something like brown toast with salmon. If I’m teaching in the evening I might have another protein shake and some simple carbs, and then I always have a big dinner – which might be fish pie, or nachos, or roast chicken. Around 9pm I’ll probably be hungry again so I’ll mix up some rolled oats with milk and yoghurt before I go to bed. The kids are in bed from 8pm and then we might watch movies, or football, or Coronation Street! Sarah [Ostergaard, Glen’s wife] loves it, so I have to watch it too. Salt and pepper the steak on both sides, being sure to rub in the seasoning. Heat the oil in a pan over high heat until slightly smoking. Sear the steak for about 2 minutes per side. Rest the steak on a cutting board for 10 minutes. In a large bowl, combine the lettuce, eggs, avocados, cherry tomatoes and steak.